That’s usually true, except when it comes to dinner, and then speed can be your friend. Not so much in the eating (take your time) but in the preparation. This is one of those recipes that you can have on the table in far less than half an hour. This is my homemade vermouth. Vermouth is a fortified wine that has been infused with herbs and/or roots. Wine has been infused with herbs for millennia. The word for vermouth originates from 13th century German. What we consider present day vermouth was first produced around the late 18th century in Italy and France. I have made my own, if you’re interested. The recipe is here. It was pretty good. Vermouth was marketed initially as a medicinal drink in the 19th century. With an alcohol content hovering at 18% one can see why it would make someone feel “better!” It wasn’t until later in the 1800s that it was used in many classic cocktails like the martini. 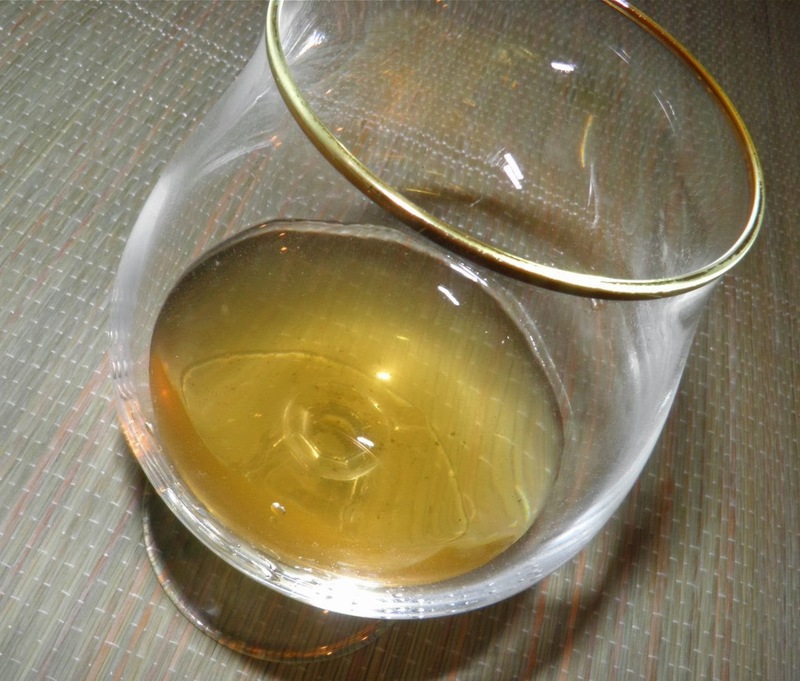 Vermouth is sold in two main types: sweet (red) and dry (white). Vermouth is an excellent substitute for white wine in cooking and is particularly good with seafood, as well as chicken and pork. When the alcohol is cooked away the flavour of the herbs remain. Simmer and reduce the sauce before adding the shrimp. Let the sauce reduce before adding the shrimp. Only add the shrimp shortly before serving. They only take minutes to cook. Heat butter in a sauté pan. Cook onion and garlic until beginning to brown. 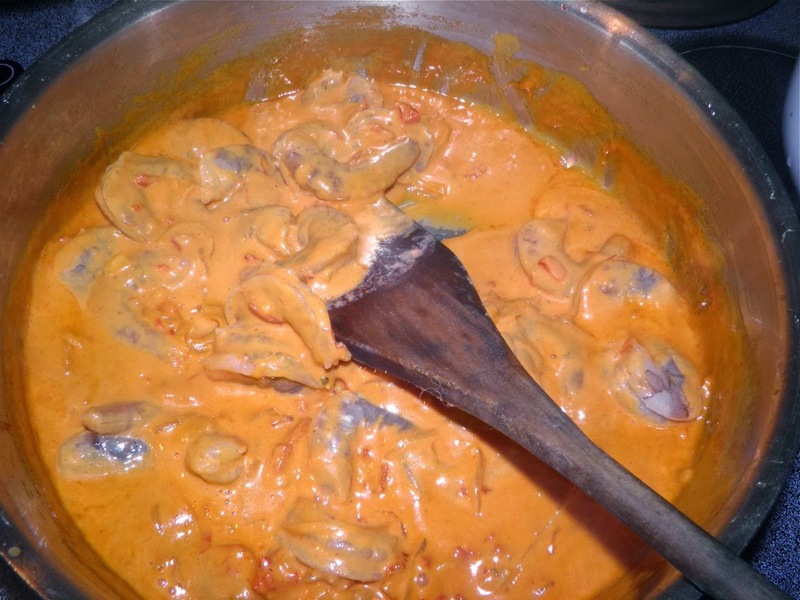 Add the vermouth, tomato purée and cream and let cook until thickened. It should be a little thicker than you think it should be. As the sun-dried tomatoes cook in the sauce it will take on a bright creamy orange colour. 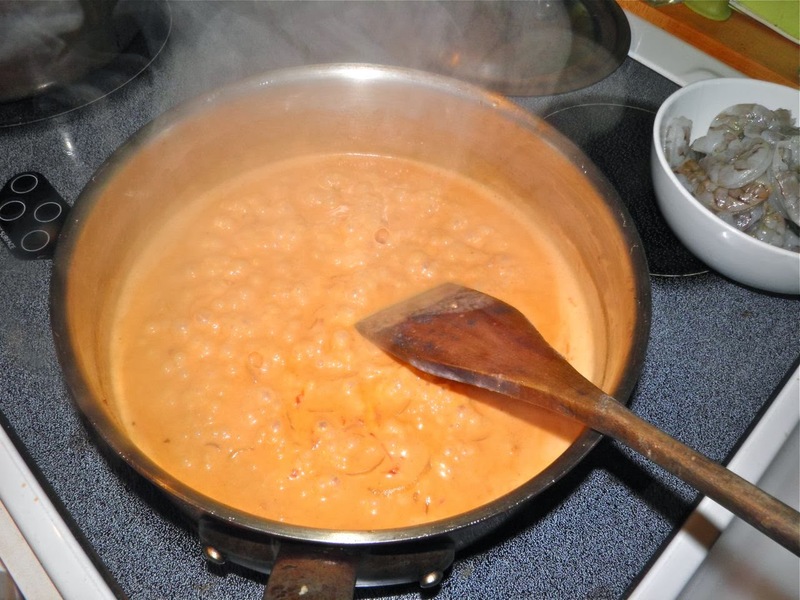 Add the shrimp and cook until just through – no more than 5 minutes. They should just be pink. That may be even less than 5 minutes. Any more time and shrimp become tough. Liquid will come out of the shrimp as they cook. If the sauce is still too thick you can thin it with a little more cream. 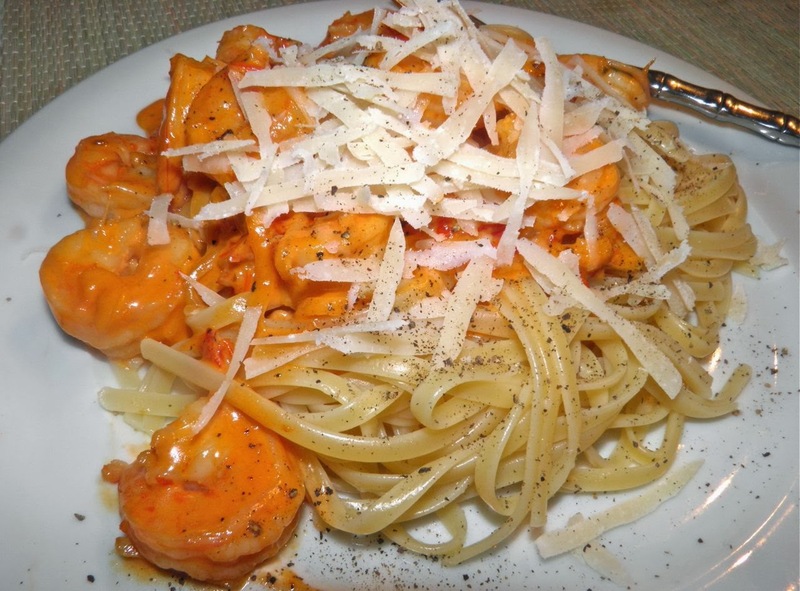 Serve the shrimp and sauce on the hot drained pasta with grated parmesan. * Depending on how many people you are serving, and how many shrimp you like, you may want to adjust this to a lesser amount.